According to Ericson and Haggerty, the rights-based approach is the dominant legal and public discourse against the proliferation of surveillance. This view is underpinned by liberal theoretical assumptions that seek to protect the individual against the tyranny of the state. This view has its roots in classical thinkers, such as John Locke and John Stuart Mill. In this article, I will argue that this approach is an inadequate conceptualization of privacy issues. In this tradition, privacy is understood that to be an inherent right of society safeguarded by the regulatory policies because it is a necessary sphere for the enjoyment of personal freedom. Lockean political philosophy posits that individuals, as free and rational, should be allowed a sphere of privacy necessary for their own flourishing. John Stuart Mill set out a similar kind of argument, insisting that the state should only legislate “other-regarding” activities. “Self-regarding” activities are of the concern of particular individuals, and ought to be protected from unnecessary interference, while “other-regarding” activities are only permissible to avoid harm. These ideas are predicated on the belief that societies do best when individual interests, rather than collective ones, are protected. The legal right to privacy was first fleshed out by Warren and Brandeis in 1890 through the Harvard Law Review. They stated that individuals had a fundamental claim to privacy vis-à-vis the state, and famously argued that this should be understood as a “right to be let alone.” Their argument about the right to privacy is still commonly cited in legal studies of privacy and court cases. However, there are three false assumptions that flow from this liberal rights approach. Burnaby Mountain Park. Thursday, November 20th, 2014. 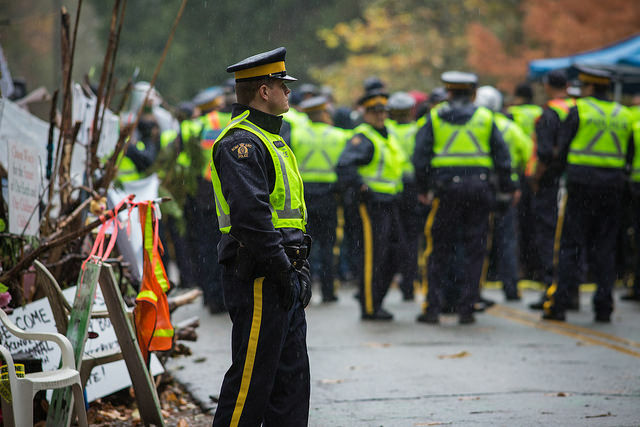 The citizen’s protest rally against oil giant Kinder Morgan continues on Burnaby Mountain. Several protesters were arrested. Photo by Mark Klotz, via Flickr Creative Commons. Liberal understandings of privacy emphasize that it is good for the individual as opposed to the good of the collectivity. It must be balanced against other public interests, such as record-keeping, national security or the organization of society in general. This distinction misunderstands the necessity of privacy for the social good. Reagan has argued that even if privacy would become less important to some individuals, it would still be performing crucial social functions. For example, privacy and anonymity are necessary for freedom of speech. Free communications enable creative and unrestrained thought. The so-called chilling effects of surveillance is the tendency that social monitoring can have on the thought of individual. 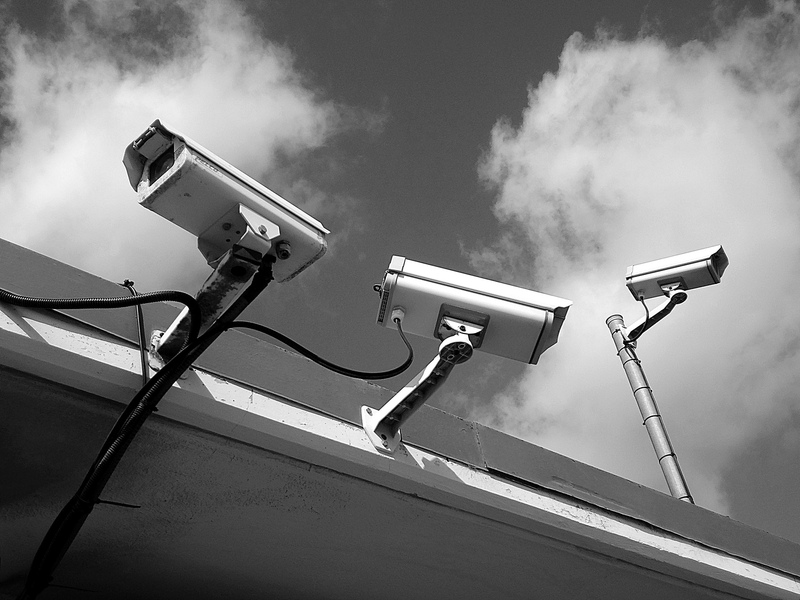 Surveillance can lead people to change their behavior or refrain from certain actions. As Schwab writes, “The societal harm is the narrowing of the expression of a range of viewpoints, thoughts, and opinions, and the decreasing freedom to participate in political activities.”  Privacy, which enables anonymity, is also necessary for whistle-blowing, which has historically brought about great social progress. The insights of critical social theorists can also help us understand why this tradeoff between the good of the individual versus the good of the collectivity may be mistaken. Foucauldian thought argues that surveillance technologies are designed to maintain discipline and to support the current skewed social distribution of power. Craig Proulx similarly argues that modern surveillance technologies are tools of the oligarchic state, composed of corporations and government agencies. Surveillance allows a minority to maintain control over a majority by allowing power elites to reduce risk and secure the status quo through widespread monitoring. According to these arguments, the protection of privacy is in the best interests of the collective. Analytically, a liberal rights-based approach to privacy tends to confuse various types of privacy claims. To make them all fundamentally valuable overlooks the inherently political nature of the erosion of privacy in different contexts. An adequate conceptualization of privacy is attuned to the discriminatory ways in which privacy is dispensed in society. There are varying degrees of intrusion amongst different groups. In the United States, the FBI has a long history of spying on communities of color, including infamously monitoring the activities of Martin Luther King. In Canada, numerous government agencies, including the RCMP, collaborated in spying on Indigenous activist circles, circulating hot spot binders, bulletins, and reports amongst each other. It was also discovered that this information was shared with corporate actors, including oil companies looking to protect their infrastructure. The liberal view holds that privacy is necessary to maintain between boundaries “competing and countervailing centers of power”  This argument must necessarily be completed with a discriminative approach between the different levels of power in these “countervailing centers.” The RCMP and a single Cree Community in Northern Quebec are not equal centers of power. Special attention to the parameters of surveillance, such as its aims, who conducts it and who is targeted by it, need to be scrutinized. Without a direct consideration for these parameters, the political study of surveillance misses its fundamental dynamics and mischaracterizes the problems of privacy. 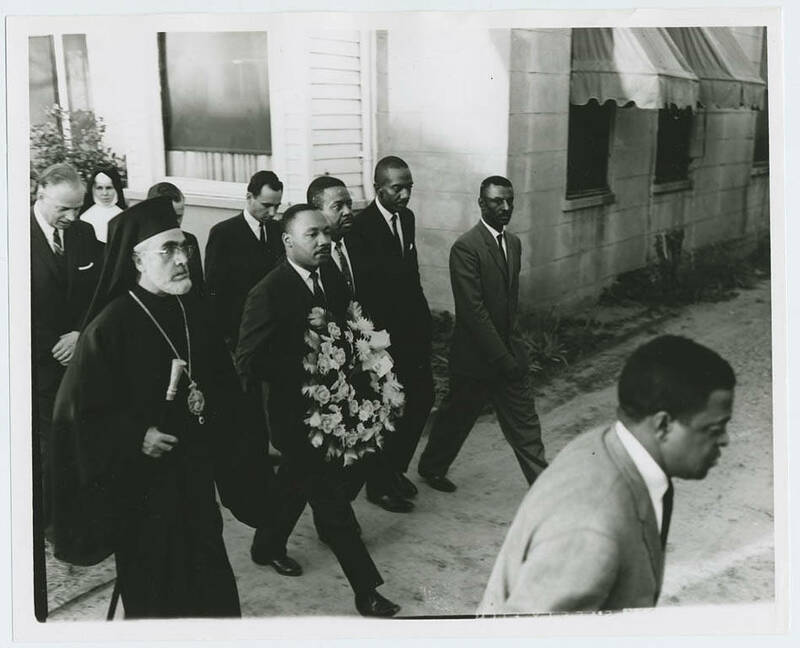 March from Selma to Montgomery. Jack Rabin collection on Alabama civil rights and southern activists, 1941-2004 (bulk 1956-1974) , Historical Collections and Labor Archives, Eberly Family Special Collections Library, University Libraries, Pennsylvania State University. Via Flickr Creative Commons. The solution to problems of excessive monitoring and information collection are often assumed to be strong legal protections. Calling this assumption fully false lacks nuance, but there are a number of reasons as to why privacy rights are not a purely legal problem. Insights from critical legal theory (CLS) are useful here. CLS argues that legal solutions may not cure societal ills, but the law plays a role in legitimizing undesirable solution outcomes. A purely rights based approach to privacy may be able to tackle the problem of mass metadata collection by CSE of ordinary citizens, but is less adequate to explain the problematic nature of the infiltration by the RMCP of environmental and Indigenous activist groups, given that these activities may be legally authorized. A second deficiency of the rights-based approach is that constitutional law protects individuals rights from infringements by the state. In Canada, the right to privacy has been framed around section 8 of the Constitution, which protects against “unreasonable search and seizure.” A lot of privacy jurisprudence in both Canada and the United States have been concerned with cases of police warrants or handling of data by government entities. However, most of data collection and monitoring is not conducted by these of public institutions. They are conducted by corporations, including private online intermediaries, banks and marketing firms. As Rossos and Desrochers note, there exists comprehensive regulation for the gathering and storage of data by governments, but not for the private sector. Furthermore, citizens are not primarily concerned with the interception of their personal information, but rather the ways in which it could be combined with other pieces of information. For them, it is the potential misuse of their data that is alarming. Constitutional protections can only play a minor role in this case. The individual rights-based approach shows three severe limitations: It downplays the social importance of privacy by positing it against the individual importance of privacy; it does not allow to capture the contextual variations of the phenomena; and finally, poses legal safeguards as the solution to the problem of erosion of privacy, which is inadequate. More fundamentally, this approach has very little to say about the importance of privacy for society. The Snowden revelations revived worry about privacy and surveillance in the digital age. It sparked debate between policymakers, academics and ordinary citizens. The false dichotomy between the good of the individual and the good collectivity created by the liberal understanding of privacy rights dominates the conversation. Privacy is often understood to be a superfluous right that can be readily sacrificed by “law-abiding” citizens who have “nothing to hide” for the sake of collective interests, such as national security. Even from a liberal point of view, this discourse is problematic. Privacy is not at its core the ability to conceal, but the ability to think freely and to control one’s own affairs. Political theorists should play a critical role in these discussions, to denounce the fallacies of the “nothing to hide” discourse. For a number of reasons enunciated in this article, privacy is necessary for the collective interest. We should staunchly defend it, as we do with any other right we value and cherish. Feature image by Jay Phagan, via Flickr Creative Commons. Warren, Samuel D. and Brandeis, Louis D. “The Right to Privacy.” Harvard Law Review 4, no. 5 (1890). Priscilla M. Reagan, Legislating Privacy: Technology, Social Values, and Public Policy. (Chapel Hill: University of North Carolina Press, 1995), 50. Sandra Schwab, “Defining Privacy: A critical investigation of Canadian political discourse.” Master’s thesis, University of Alberta, 2016, 30. Proulx, Craig. “Colonizing Surveillance: Canada Constructs an Indigenous Terror Threat” Antropologica 56, no. 1 (2014): 83-100. Haggerty and Ericson, The New Politics, 10. Bennet, Colin. “Privacy in the Political System: Perspectives from Political Science and Economics.” A report written for the Ethical, Legal and Social Issues (ELSI) component of the Human Genome Project, U.S. Department of Energy (coordinated by Alan F. Westin), 2001, 6. Desrochers, Stéphane & Roussos, Alexia. “The Jurisprudence of Surveillance: A Critical Look at the Laws of Intimacy.” Lex Electronica 6, no. 2 (2001).